Ontario is the top sport fishing hotspot in Canada for Walleye and most fisherman think Ontario is where the next world record Walleye will be caught. Ontario's many lakes and rivers are stuffed with fish of all sizes and are here for you to enjoy. I made this website to bring you the information you need for your next fishing trip so I created a directory of Ontario's top fishing lodges, resorts and remote outpost camps, whether they are drive-to or fly-in, American Plan or Housekeeping. The best fishing lodges in Ontario are listed in this site along with some nice fishing tips and techniques specific to Ontario Lakes. I also have big pictures of beautiful trophy fish donated from my lodge customers as well as other useful information. What Ontario fishing information are you looking for? 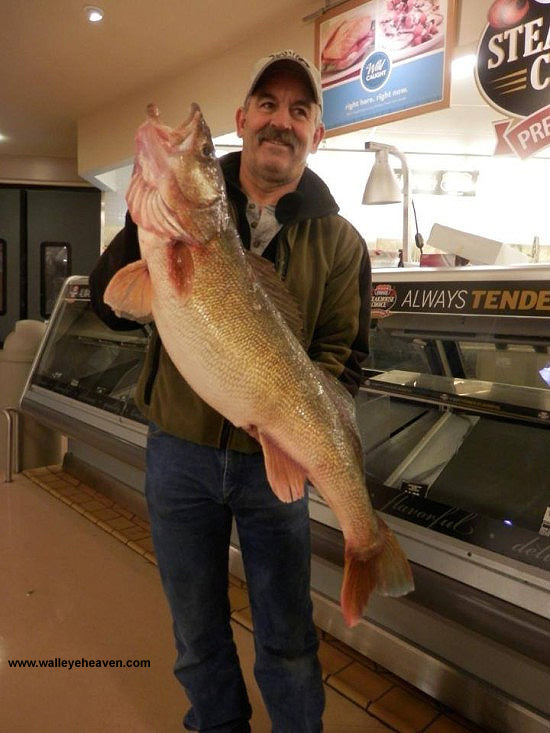 Do you want 100 Walleyes per day or big Trophy Walleyes? Do you want to go to a lodge or an outpost camp? Are you looking for drive-to, boat-to or fly-in? Do you want American Plan or housekeeping? It's all listed here. I hope you have a perfect Ontario Fishing Trip and I am here to help. My father was a Walleye fishing fanatic and taught me everything he knew. My mother was a teacher in Ontario so as a kid I spent many full summers at the cottage with my mom. During the week there were no other kids around so all there was to do was fish for Walleye, Bass and Musky. By the time I was in high school I was working as a professional fishing guide for fly-in lodges in Northwestern Ontario. I was given the opportunity because my best friend's parents, over a period of 20 years, owned three different lodges. The first was north of Wawa, Ontario then Red Lake, Ontario and the last fly-in fishing outpost camp operation they owned was north of Nakina, Ontario. During this time I accumulated a vast knowledge of Walleye fishing. The biggest thing that I have learned over the years is "Ontario Walleye Fishing" is a very generic term because Ontario is the size of France, Germany an England combined. Fishing for Walleye is completely different from one region to another. Most of all fishing in Ontario is very different than fishing in the south. In my website I have written Walleye fishing tips based on fishing different lakes across Ontario. I would like you to read them and consider some different options and tactics that you have not tried before. One technique that is great for one lake may not work in another. The depth of the lake, water clarity, water temperature, oxygen levels, the type of weeds, the structure, other species of fish in the lake and the lake's distance north all affect how the Walleye feed and behave. First, it is best to ask the lodge owner what works. Also keep in mind that lodge owners are way too busy to go fishing most of the times so if you are not satisfied with the fishing try different things. You should also try the techniques you are used to because they may prove to be better than what other people are doing on that lake. I want you to come to Ontario and have the best Walleye fishing trip of your life. My email is below if you have questions. The scientific name for Walleye is Sander Vitreus. Most people in Ontario used to call them Pickerel but back in the 60s somebody started calling them Walleye down south and that name slowly made it's way north into Ontario and by the mid-90s most people in Ontario accepted the name Walleye. A few of us old timers still slip once in a while and call them Pickerel. A Walleye will grow about 3 inches per year for the first three years and then their growth rate slows down. As they grow the rate of growth slows down. By the time they reach 30 inches it's most likely around 20 years old. The farther north you go the slower a fish grows but because of the lack of parasites and disease in cooler northern lakes, fish farther north live longer and healthier so Walleyes in Ontario can reach over 35 inches. This is why Ontario is the most popular destination for sports fishing. The MNR has caught many over 25 pounds through netting studies, which is far bigger than the current record. There have been stories of a trapper north of Nakina catching a 40-inch Walleye while ice fishing and feeding it to his dogs. Ontario has thousands of the best lakes and Walleye fishing is more popular and in more demand than all other sportsfish put together. Because of their poplarity in the USA Americans come to Ontario and inject 2-$billion into the northern economy every year and we dearly thank you for that. You could say mining, forestry and Walleye drive the northern economy. Please take a look through my fishing site and check out the fishing lodges I have listed right across Ontario. I also have tons of Ontario fishing tips, Ontario Fishing techniques and interesting fishing research information to look at. If you are looking for an Ontario Walleye fishing trip and not sure where to go fishing or not sure where the best fishing in Ontario is, then tell me your needs and I will help you. email me.